I love ghost stories and spooky movies so of course I had to go see The Conjuring. I read the book House of Darkness House of Light by Andrea Perron and though I wasn’t crazy over the writing style, I did enjoy the basic story and by this I mean the parts that actually involved the ghostly encounters. I thought there was a lot of stuff added into the book that didn’t need to be there…needless fluff…so I ended up skimming through a lot of it. But that is just the writer in me being overly critical I think. Then again, we all do it…criticize and skim or enjoy and savor! Since I am not into the literary, flowery sort of writing that Andrea used, I did not read volume two of this book series. So anyway. The book “House of Darkness House of Light” was written by Andrea, one of the children of the family depicted in the movie, and it told a vastly different story than the one Hollywood presented (which was actually based on the Warren’s accounting of the haunting and not Andrea’s. The Warrens, by the way, were paranormal investigators and pretty big in their day!). I know Hollywood has to go over-the-top to hit it big in the box office, but it still disappoints me when they take the “nasty demon possesses body and goes on a killing spree” route. For me, the demon possession stuff ruined the movie though many others thought it added quite the thrill. My favorite parts were the beginning of the film. Although (here’s the critic in me again!) I thought it was rather slow at times and wished it would just get going already. Still, the subtle stuff that happens in real hauntings and then becomes more than subtle, that’s the stuff that grabs my attention and makes my imagination go haywire. I don’t want to ruin the movie for anyone who hasn’t seen it, but since I’ve already mentioned the fact that a demon possession was involved, I just want to say that Andrea does not make her poor mother out to be as bad as all that in her book. Certainly she had problems and was quite influenced by the negative entity, but she did not try to kill her children. And really, if demons could do that sort of thing, don’t you think we’d hear about it? Have you ever heard of a demon taking over someone’s body and killing people anywhere but in the movies? Really, I want to know. Have you? The problem with movies like “The Conjuring” is that it gives the paranormal world such a bad rap. Seriously, most of the spirits that make their way back into our realm of existence are not evil doers out to possess bodies. Many of them are just looking to make contact with loved ones they left behind. They want to reassure their grieving family and friends that they are in fact, quite fine. Better than fine. Awesome really! They want to offer comfort and hope and share the good news that the whole death thing is nothing to mourn over. I do have to add here, though, that there are some spirits who harbor negative feelings and though they can certainly INFLUENCE those they come near, to actually take possession of someone is not something they are looking to do. It does happen, however, on the rare occasion. Case histories exist concerning exorcisms that have really happened. 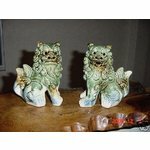 But as I said, they are RARE and I think there are special circumstances about those cases. I get a lot of comments on this blog…especially my post “12 Signs a Ghost is Near”… and I find that movies like “The Conjuring” concern many people that something like that could happen to them! After all, the movie states that it is based on a TRUE story! Key word here is “BASED”, meaning Hollywood can take creative license and do whatever they want with the ACTUAL story! The problem with this is that people don’t know what parts are actually true and so believe the possibility exists that ALL of it is true! That leads to instant fear when they suddenly have their own ghostly encounter. Even if they suspect the ghost is their loving gramma! The worry is that the haunting is going to graduate from gramma to an evil demon out to possess them! It’s too bad, really, because there is NOTHING more special than reconnecting with a loved one who has passed into spirit! It is one of the most PROFOUND experiences you can have in this physical life. I often see a bluish light. I can see it with my eyes open but I see it more vividly when my eyes are closed. When I first started seeing it (early twenties), I wondered what it was but, for whatever reason, was too afraid to find out. It took me about ten years to finally get brave enough to allow the answer to come to me. Certainly I had asked mediums, shamans and anyone else who wanted to voice an opinion but I didn’t try to seek an answer myself. Until one night while I was mediating and trying to make contact with my spirit guide…who incidentally has the same name as my character’s spirit guide in the Tess Schafer-Medium series (Sheila! )…and I saw the blue light. I decided to stop being wary of it and sent out the message that I was ready to welcome it into my personal space. I didn’t force it to come closer (it always appeared to be just out of reach) and I didn’t try to mentally go after it. I simply waited. Suddenly the most overwhelming sense of LOVE just rushed over me, through me, around me – everywhere! It was my Nana. Gone to spirit for over twenty years, we had a LOT of catching up to do, and we did it all within minutes and without words. The spirit world is not limited to our mode of communicating through language. They communicate through feelings and it’s completely understandable, their message CLEAR! 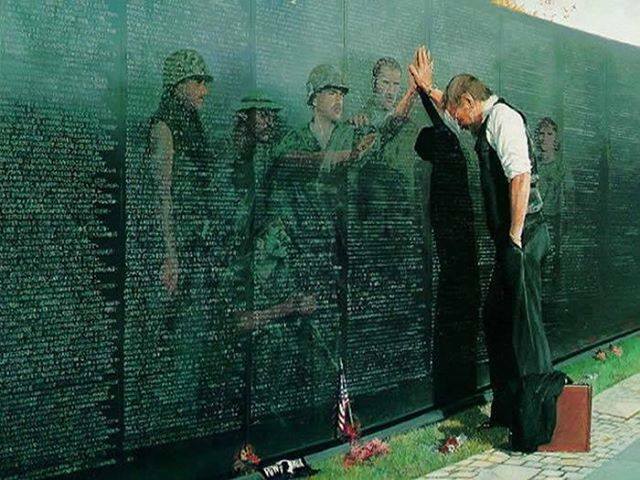 More so than words can ever convey. Honestly, once you label something with words then it must stay within the confines of those words and what you PERCEIVE them to mean. But when operating through FEELINGS, labels don’t have any role to play. I now understand that the blue light is the energy field of a spirit! I was told once by an Indian shaman that spirits surrounded me. At the time the idea of it scared me to death! I was like “Do they watch me when I’m in the bathroom?”, do they watch me during other intimate moments that I don’t want to talk about in this blog? (smile) The idea of it did not sit well with me at all. I’ve come to understand a lot about the spirit world over the years, through my contact with Sheila, other people, books, movies (not to mention some of the most profound dreams!) and I’m now understanding it that the spirit world doesn’t “see” us as we see with our physical eyes. They “see” us by our energy imprint and emotional body. So they don’t actually see our bodies while taking a shower (phew!). They sense our spirit, our energy field, much like we sense them when they are around. I can’t tell you how many times I’ve heard “I just KNEW someone was near…that I wasn’t alone, I could feel them!” Of course we sense when spirits are around. At the very basic level, we are beings of energy. All energy affects any nearby energy and when you get close enough – zap! You really make contact! I’m no scientist and I don’t know much about how everything works, but I have a basic understanding on things that interest me (such as spirits, the spirit world and paranormal phenomena!) and I have my own thoughts and ideas concerning them (and where do you suppose ideas come from? Spirit!). My take on orbs for instance (small, light colored globes that often show up in photographs) is that they are the heart of a spiritual being – the center of their energy field. Camera’s send out this quick pulse of energy to capture a picture and the reaction that takes place when that energy pulse meets a spirit energy is the development of orbs in photos. It makes perfect sense to me in any case! So-called “experts” can argue the case against orbs all they want. I know for a fact that spirit beings (ghosts) do exist, and their energy is sometimes captured on film as orbs or other strange anomalies. I think the whole Star Wars saga really captured my interest because I do believe that there is a “force” that exists and that we all can harness it and become like the Jedi Knights, if we only knew how! Honestly, Yoda knew exactly what he was talking about! The Matrix was another movie to grab my attention because of its portrayal of the world being nothing more than an illusion. I think that movie has hit on the truth of the matter – our life is nothing more than a grand illusion! Unfortunately, that movie’s idea of “reality” totally sucked! How dreary their “real” world was! But when they plugged into the matrix, well, that offered endless possibilities! And it was THAT part of the movie that I loved most, for it’s sort of like how we are – spiritual beings “plugged” into the physical world! Given that, then everything we experience is completely under the control of our imagination! Unlike the movie, however, when we “unplug” from it (die) and our consciousness is refocused into the spirit world – well, it isn’t dreary at all, it is in fact quite an amazing, awesome, mind-boggling place!! So what the heck are we doing here anyway? Gotta be a reason why we “plugged” into this world and then proceeded to make mayhem! (sigh) You know, my belief is that we truly are suppose to figure out how to make heaven on earth. Instead, we seem to be masters at creating havoc and chaos! (another huge sigh). So back to ghosts and all that. I think it should be a NORMAL part of our life to include the PARAnormal. Contacting our loved ones and continuing our relationship with them should be part of our life, no question! Oh, I imagine they have things to do “over there” but they aren’t limited by time and space as we are so it doesn’t hinder their spiritual process at all. They “hear” our call when we think about them and then here they are! But what do we often do? Continue to miss them. And yet, they are right THERE with us. Sometimes we even feel them but then consider it nothing more than our imagination and so dismiss it. Damned straight. It is our imagination, our world of imagery within our spiritual “mind”, where everything truly exists! For real. So anyway, I tell people who write in and worry about their ghosts becoming evil and trying to possess them (like all the movies and horror books like to depict) is no, I’m pretty sure that’s not going to happen. One other thing I’ve learned over time is that WE CONTROL OUR OWN ENERGY FIELD! Have you ever seen the film or read the book The Celestine Prophecy? This movie explains the concept of personal energy fields (auras) quite well! Nothing and no one can overwhelm us and take control unless we do nothing to prevent it. Drugs, alcohol, mental and physical illness can weaken our defense certainly. BUT, that doesn’t mean we can’t learn to regain control! Exorcism is about good, positive energy forcing out the lower vibrational energy of negative spirits. The one thing that can block positive energy is NEGATIVE THOUGHTS and NEGATIVE BELIEFS! That’s it. Conquer that and the world…as they say…is your oyster. To conclude. Ghosts exist and they are in fact EVERYWHERE. They don’t just hang out in old houses where someone died or spots where someone was murdered. We notice it more in those places because of the energy imprint left behind by those incidents. Energy, as you probably know, canNOT be destroyed. So, when our emotions flare up like happens during trauma, the energy bursts created during the incident are blasted out and become stored within the denser energy masses nearby…houses and other physical objects. Thus, when entering a house or touching an object that contains the stored energy of emotional trauma, we often can feel it. That’s because our spiritual body (which is a form of energy) is reacting to the energy stored within! This is why those places are easier for us to encounter paranormal phenomena. The energy there is high and our expectations of spirit activity draws the spirits to us! But the fact is spirits are all over the place. They truly are looking for someone to notice them just like Patrick Swayze’s character in the movie Ghost! In fact, since Halloween is fast approaching, the custom of donning costumes was started when people sought to disguise themselves from the spirits they knew were out enforce on Halloween night (the one night of the year when the veil between life and death is at it’s thinnest!). Like Hollywood likes to portray, some believed the spirits out roaming around on that night were out to possess their body so by making themselves look like anything but themselves, they hoped the spirits would pass them on by! It was my own disappointment with what was available for ghost stories that I started writing them myself. Also, I wanted to share, through story telling, some of the wonderful things I’ve learned about spirit over the years! My beliefs are varied and touch on several religious schools of thought. I have to tell you though, in my honest opinion, there isn’t any ONE religion that has it ALL right. It’s like the truth of the matter is spread throughout every one of them! The reason EVERYONE doesn’t agree on EVERYTHING is because we are all at varying degrees of spiritual discovery and our knowledge is based on what we’ve learned SO FAR. I really wanted to explore my beliefs in my book Be Still, My Love by having a medium go through tragedy. I wanted to show through storytelling that nothing is final and that there is always hope of finding happiness…no matter what! Then through Hidden Voices I wanted to explore a supernatural mystery that has plagued my hometown for centuries but also explore my character’s growing mediumship abilities. The third book Vanquishing Ghosts was written to show that no matter how bad the ghost, WE are in control not THEM, and vanquishing them CAN be done! The next book in the series “Rosemary’s Ghosts” (to be released in early October!) is more focused on the psychological aspects of hauntings and the conceptions many of us have about heaven and hell. I do, after all, have my own thoughts about that as well! All of these books share beliefs that I have come to accept and beliefs I am still exploring. I find myself learning things right along with my main character Tess! Honestly, all those books pretty much wrote themselves. I literally sat down at the keyboard and obediently started typing. I had no clear idea of how the story was going to pan out and end until it actually panned out and ended! And yet they all fit into each other so well. I love how it all works like that. It truly fascinates me. But then, I honestly believe that “spirit” is lending a hand! By the way, there is one book I’ve read that depicts a “True Haunting” (it also is the title for the book!). It really is much more realistic about what a typical haunting is all about! It’s a quick easy read and if ghosts interest you, you’ll probably find this one rather interesting! Just don’t expect “over the top” craziness like the Hollywood movies go for. What’s so Fascinating About the Paranormal? I’ve been interested in the paranormal since I was a little girl. Living in a haunted house will do that to you. Weird stuff happens and once you get over the terror of it, you begin to look for understanding. 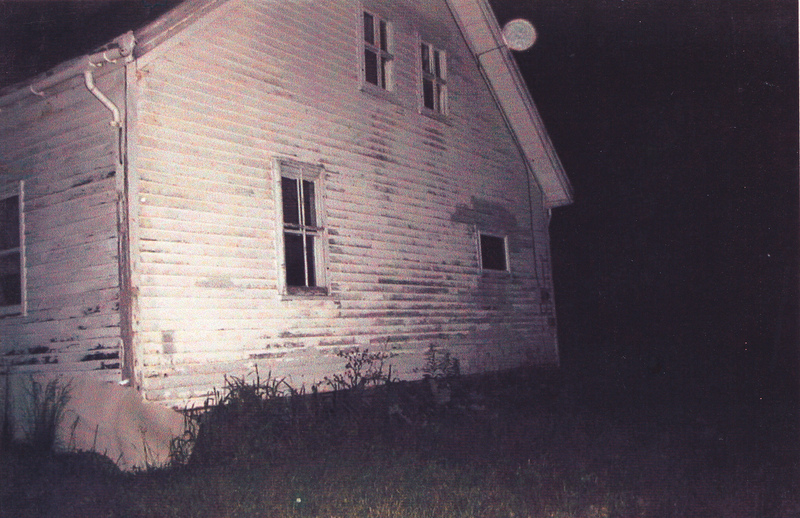 Here’s the thing…I KNOW that house was haunted. Ghosts lived there with us and the older I got, the more I wanted to know WHY. After we moved out of that house, I continued to read up on things but my paranormal experiences sort of cooled off for a bit. My prophetic dreams stopped occurring and though we had a few bizarre events happen in our new house (sink faucet coming on full blast, burners on the gas stove spontaneously lighting, a blender suddenly springing into action), things were relatively quiet. I was mostly involved with reading palms at this point and studying up on how such a thing could be so darned accurate! Ever had your palms read…by a LEGITIMATE palm reader? You should. Your palm is like your personal memoir. Fascinating stuff. So anyway, life chilled for a bit on the paranormal end but then I joined the Air Force and was sent to Korea for a year. I had to leave my infant son (my first born!) and that was tough. Let me tell you, it was rip-your-heart-0ut TOUGH. I did a lot of drinking when I first got there. Thought it would get my mind off my baby. It didn’t of course. In fact, it made things worse. Then one night I started telling some friends about my living in a haunted house and they wanted to know it all. When I got to the parts about using the Ouija board, they got the bright idea that we should do that. And so my paranormal experiences began to happen again. We had some really interesting conversations on that Ouija. Let me tell you. Now, I know people will say that it’s evil and all that and I suppose it can be. After all, the Ouija opens a door to the other side. One must be responsible when opening doors like that! Unfortunately, not many people take the necessary precautions to ensure no negative entities come through. I’ve always been careful and can proudly say that I’ve not had any negative experiences with the Ouija. It honestly is one of the EASIEST forms of spirit contact. Maybe because people treat it like a game and so they let their guards down, lower their defenses and relaxes the all-protective EGO. When you truly ALLOW spirit contact to happen…it will. My son was three when I remarried and I was pregnant with my second child when we arrived in Germany. My paranormal endeavors went on another hiatus. We came back to the States with three kids…two daughters were born while I was stationed in Germany. As it happened, I went through yet another marriage break-up (do you know how high the divorce rate is with military members!? It’s a tough life). This break-up really devastated me. My first divorce was quite friendly. We didn’t fight, we just didn’t suit as a couple. But my second one…boy, it brought me down to my lowest points. When your life is falling apart, you can cry about it (which I did in excess!) or you can try to pull yourself together and get on with it. This I did eventually do but I went through quite the spiritual reformation while doing it. I needed to know WHY things happened the way they did. I needed to understand why my life was so messed up! Divorce can really damage your sense of self-worth and totally ruin your self-esteem (not to mention the financial devastation which is another whole set of worries!). I hit a critical low period in my life and turned to God for help. I began studying about angels (they are so awesome!!) and I began to truly believe that God takes care of us if we let him. When we try to control things ourselves without God’s help, well, that’s when things go awry. Little miracles began to happen (I’ve blogged about some of it, see God, Money, Faith) My belief factor went up and things got better and better. It was during this time that I discovered Automatic Writing. Automatic Writing is allowing spirit to speak to you through hand writing. You can also allow them to come through on the keyboard. It’s basically a form of channeling. As I didn’t have a keyboard at the time (home computers hadn’t put in an appearance much at this point), I used a notepad and a pencil. I meditated (another thing I was learning to do!) and then I started writing! Many spirits came through and brought messages that were helpful. I moved from Automatic Writing to channeling a beautiful spirit I called Sheila (yes, I use her in my book Be Still, My Love and in its sequel Hidden Voices which will be out soon!). I didn’t use a pen and paper with her, I just allowed her to speak through me. I was remarried by this time and my new husband was quite involved with this process. We were both fascinated by Sheila and the things she told us. I had some really amazing experiences with her. Now, I have to tell you that I often questioned these experiences and wondered if it were all coming from my imagination. But I also have to tell you that while Sheila was speaking, I was thinking all sorts of things…ever try to talk and say one thing while having a completely different conversation go on in your head at the same time? This happened quite a bit because I often speculated on the things Sheila shared. Half the time I missed what she was saying because I was busying trying to counter something else she’d said! (we taped every session so I wouldn’t miss out on anything). It was an eye-opening experience and all of it was getting me more and more involved in the world of the paranormal. Then this marriage went really bad. I can’t say what happened, it’s all so very personal but I will say that I didn’t really know the man I married. Looking back on it, I don’t regret a thing, no matter how bad it got, because it has all led me to where I am now and I like where I am. I wouldn’t change it for anything. Though I wish my kids hadn’t had to go through all that crap too. Life lessons are HARD! For awhile I was mad at God and even the poor angels. I couldn’t understand how they would let things get so bad. After all the prophetic dreams, all the channeling work, the messages from spirit…WHY did this crap have to happen? Once that marriage ended, my life began to really turn around. It’s been all up hill from there, I’m happy to report! I found the man of my dreams and he’s very understanding about my paranormal interests. He’s also very supportive of my writing and he’s been the BEST father to our kids. They say that the third time is the charm…for me it took four. But what a CHARM it is! 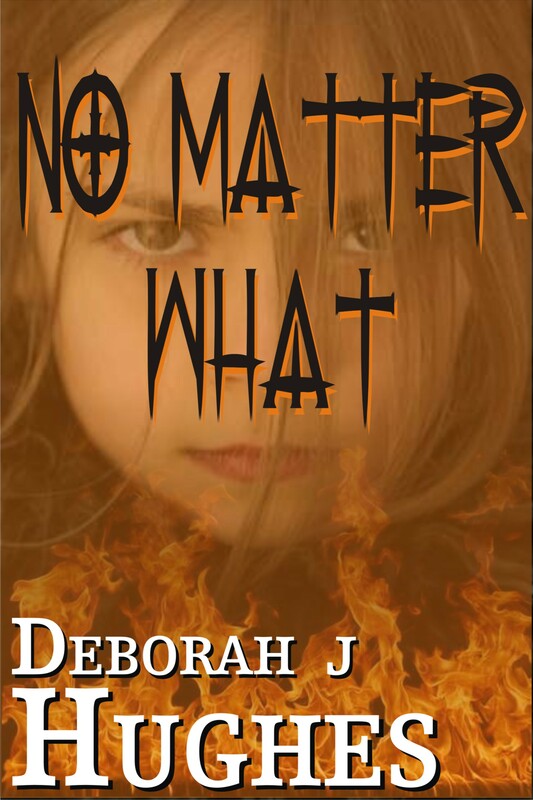 When I started work again on my paranormal thriller “No Matter What”, I began to get more involved with the paranormal world. Although I had dabbled some with the Tarot cards, I didn’t really get involved with them until I started work on this story. One of my characters was a Tarot reader and I wanted to understand more about it (so my character would sound legitimate) and suddenly I became fascinated with them. They really are quite amazing. I also began to study Numerology (another thing the character in my story liked to do!). Again…the way these things work in our lives is truly amazing!! When our military careers came to a close (my husband did 28 years and I did 20) and we retired, I figured I’d have more time to write. Not so. We got busy running a small campground which we thought would make a great retirement plan and I found myself too busy to write. But, I did continue with the Tarot cards, palm reading and Numerology studies! When we finally decided to close the campground (it’s a tough world when it comes to running your own business!!! ), I found myself having more time to write. I began to edit No Matter What and then I found the Spiritualist church! When family members who have passed on into the great hereafter came through during the “messages from spirit” part of the service, I knew this was the church for me. I signed up for their mediumship class, went on ghost hunting adventures and learned about table tipping! This is yet another form of spirit contact. You simply put your hands flat on the top of a table (must be evenly proportioned…round or square) and invite spirits to come through and and talk to you by “tipping the table”. What fun we’ve had with this!! Table tipping is truly an adventure in the paranormal. We’ve gotten the table to spin, walk or slide across the floor, tip nearly to the floor (without falling!) and rock back and forth. A few times we’ve had the table tip up (usually onto two legs) and then stay there. No matter how hard we tried to get it to fall back onto its legs, we couldn’t do it! Truly…is that fascinating or what? I’ve had tons of experiences, too many to mention, and they have all led me to the interests I now have. These interests come through in my writing. People write to me and ask me if I am Tess Schafer (the main character of Be Still, My Love) and I guess I have to say yes, to some degree. She has a lot of me in her. But she’s better! A better medium anyway. I love to make up stories. It’s natural to make up stories that involve things that interest me. The paranormal has interested me most of my life and that is why I write about it. I also love to read about it! What about you? Do you like to read about the paranormal? Why? Do you write about it? Share with us your books if you do! Share your stories or your blogs. The people who come to this blog do so because of the paranormal content (right?) so if you’ve something to share, please do!! What creeped me out a bit watching that show was the part where the bed started shaking. You know what? That really does happen. And it’s freaky as all hell. I’m not sure how old I was when I experienced one of the creepy-odd events in that old farmhouse, but I’m going to guess I was about twelve. I’d say it’s a pretty good guess because I was reading quite a bit by this point (all my mom’s Harlequin and Silhouette romance books), and I know it occurred before we accepted that the house was haunted … otherwise, I think I would have been terrified out of my freakin mind! My parents were having a “get together” of friends and family (they liked to play guitars and sing). The five of us kids were banished to the upstairs bedrooms. Not in the mood to play, especially with my younger siblings (I was the oldest of five), I grabbed a book and headed for my parents’ room to read. My rambunctious sibs played in the other two bedrooms and left me alone. Although I got a little nervous sometimes while hanging out in my parents’ bedroom (you know, that spine-tingly, something-doesn’t-feel-right feeling), I really wanted to be on my own so I could read undisturbed. I made myself comfortable on the bed, pillows propped behind me, and was soon lost in the story. I have to tell you, when I’m reading, my mind is fully engaged and I don’t notice anything going on around me. I’m not sure how long it was before the slight tremors in the bed made my hands shake and thus, interrupted my reading. Curious, I lifted my head and took note. The tremors were slight at first. More like a strong vibration. I wondered what could be causing it but I wasn’t scared at this point. I was more intrigued than anything. After a few minutes, I figured the shaking had to be caused by the kids running around in the next room and went back to my book. The shaking grew worse. Okay, now I knew something was definitely up. Slight tremors I could explain away, big-time shaking…not so much. As the bed shaking grew worse (they came in spurts), I immediately suspected that it had to be my brother (whom I will refer to as “J”) because he was always up to some mischief and the others were too small to make the bed do anything. My parents had a wrought-iron bed at the time…it was a heavy-assed bed…and it was up pretty high from the floor. There was lots of crawl space underneath it (I know because it was always a favorite hiding spot when playing hide-and-go-seek). I set the book down, twisted around onto my stomach and then leaned over the edge to take a look. While hanging there peering at empty space (definitely no visible bodies or anything else for that matter), the bed shook hard and I had to grab at the mattress to keep from falling off. Now I’m scared. What the hell? No, I’m sure I didn’t think those exact words, but I sure am thinking them today!! I pushed myself back up in a sitting position and considered my dilemma. I wanted to get off the bed, but I wasn’t sure if it was safe to do so. While pondering this, a spool of thread … green, I believe … started rolling across the floor. I have no idea where the spool came from. It rolled from beneath the window on the wall to my left toward the wall on my right. I watched it with growing unease. The spool rolled slowly at first and then gained speed, banging into the wall, bouncing off, going still then taking off for the opposite wall where it would do the same thing. Sometimes the damned thing would stop just before hitting the wall…rest for a few seconds and then go flying across the room as if someone had just whacked the crap out of it. The bed tremors continued but at this point I was more worried about the self-propelling spool of thread! Although I was scared to death, I somehow managed to crawl to the end of the bed so I could see if maybe one of the cats was causing the spool ruckus. Nope. No cats. No kids. Nothing. Which of course, it couldn’t be “nothing” could it? Although I was quite young, I knew…I KNEW…that a spool of thread shouldn’t act the way that one was acting. The fast and slow rolls, the bounce off the wall into an abrupt stop. No, it wasn’t normal. When it once again bounced off the wall on my right (the furthest wall from the bed) and then rolled slowly toward me, my trepidation grew in one heart-pounding leap. The spool rolled slow and steady until it was under the bed. Then it stopped. I waited. Nothing. Finally, I HAD to know…and I forced myself to lean over the bed to look, though this time I had a tight hold of the foot rail. No WAY was I getting tossed off that bed! Honestly, I thought it showed an extreme act of courage to do that! I STILL think as much!! As soon as my eyes found that stupid spool, it shot out and hit the wall to the left, bounced off, stopped and then rolled slowly toward the open bedroom doorway. It stopped just at the threshold. After a few seconds of waiting (the spool rocked a little but it stayed in place), I found my voice and called out to my siblings. It was J who came to the door. I was holding the wrought-iron foot-rail and praying for dear life at this point. “Go get mom!” It took some convincing…okay pleading…but something (probably my terrified expression, or perhaps the panic in my voice) told J I wasn’t playing around and he finally took off down the stairs. The bed shaking had stopped as soon as J came to the door and the spool remained still. After a bit of convincing (my mom didn’t want to respond to J’s summons at first) she finally came up the stairs and stood in the doorway, “What?” Although she was quite annoyed to be called upstairs, thank God she came! Really? Then why did it stop? The music was going strong downstairs…no vibration to be had. I scrambled off the bed and exited my parents’ room before Mom could disappear down the stairs. I was afraid to go in there after that but I would do so if someone else were with me. It seemed the bed wouldn’t shake if there was more than two people in the room. I tried an experiment after we started communicating with the spirits (about a couple years later) and actually went to my parents’ room to see if anything would happen. When the bed began to shake, I was “gone, baby gone” … out that door in no-time-flat. No more experiments for me! My mom had similar bed-shaking experiences. As for my dad, he never complained about the bed shaking but he did complain about something shaking him! Once he joined the “this house is haunted” band-wagon (something he resisted for quite some time as my dad was a hard-core, no-nonsense sort of person), a move to a new place became imminent. None of us wanted to be there anymore. I hadn’t wanted to be there since the “monster” incident I wrote about in Part II so I was pretty ecstatic about leaving. I can’t say at what point we began to blame the ghosts for all the strange things happening in that house but I can tell you, once we became aware of such a possibility, we really started noticing things. Yes, I know…our imaginations could have been fueled by our beliefs but even so…that doesn’t explain HOW some of the things that happened there, happened there. To this day I wonder. Why? What was the point in it all? What do they want? Where are they? Why are they still there? (the house is gone, but they are still there…I KNOW it). So, that’s my shaking-bed story. What say you? Ever have anything like that happen to you? I tell you, I can’t look at a spool of thread and not think about this story. It’s as freaky now as it was then. But it wasn’t just a spool of thread that developed a life of its own…no. Heck, freakin no. I’ll leave those stories for future posts. That’s it for now! Tune in again for Part IV if you dare! (smile) Thanks for stopping by. Until next time, Blessings to all and Peace Out! In part one of my “Living With Ghosts” blog series, I introduced the spooky old farmhouse my family moved into when I was seven. Any place with such a colorful history as that house is bound to have a few ghosts, right? Although the house was old, the wiring bad, the facilities outdated and so on and so forth, my parents moved there because they didn’t have much money and the rent was dirt cheap. With five small children to support, they thought it was a great deal. And it was…if only we didn’t have to share the place with unseen specters! Although I was only seven years old when we moved there, the place had such an impact on me that my memories are quite vivid. Some of it I wish I could forget. Since the house had been empty for quite a while, my parents had to do some extensive cleanup and repair work to get it inhabitable. I remember my first visit to that house as if it were yesterday. My mom let me tag along with her and a friend during one of their cleaning expeditions. Their main agenda for the day was to pull several layers of old wallpaper from the walls so new wallpaper could be applied. I remember that the walls were made of wood laths covered in plaster mixed with animal hair. The stuff was crumbling from age and my parents replaced a lot of it with sheetrock (drywall). I can still recall my thoughts on the house the first time I entered it. The place was darned right gloomy. It was also quite chilly inside despite the warm spring day outside. There wasn’t a lot of lighting in the house (the wiring needed quite a bit of updating). My mom told me that the bedrooms were upstairs and that mine was the last room on the left. Although I remember feeling uncomfortable going upstairs by myself, I was eager to see my room and so up the stairs I went. The room that would become my brothers’ bedroom was at the top of the stairs to the left, my parents’ room straight ahead. There were no windows in my brothers’ room so it was quite dark in there and I had to go through their room to get to mine. The door to my future bedroom was partially open and I could see that it was lit bright with sunlight. I raced through the gloom to my future bedroom and was glad to see we had two large windows. They faced the right side of the house and the river a couple hundred yards down the hill. The room was filled with furniture (antiques!) and I remember being delighted by the mirrored dresser. It had all sorts of neat little drawers and I sat before it to explore each one. I wasn’t in the room very long when I heard someone coming up behind me. I thought it was my mother. I turned to ask her if the dresser was going to stay in the room for us to use but no one was there. It puzzled me to find the room empty for I was sure someone had walked up behind me. Though reluctant, I went and checked out the other two bedrooms. I glanced toward the “dark room” (see Part I) but no WAY was I going to peak in there. Both bedrooms were empty. Feeling jittery but having no justification for concern, I returned to my exploration of the dresser. A few minutes later, I had the strongest feeling someone was standing right behind me and my back crawled with unease. Remember, I was only seven … I didn’t know about ghosts and had no clue why I felt as if someone was in the room with me even though I couldn’t see anyone. It frightened me beyond measure and I no longer had any desire to explore my room and the furniture within it (the room was packed with lots of old stuff!). Although I wanted to rejoin my mother, I was afraid to go through the room beyond, especially as I had to pass the dark room to do so (its entrance was a few feet to the left of my door). I figured whoever was up here with me had to be hiding in there as I’d checked everywhere else. Why I didn’t tell her I was scared, I don’t know, instead I asked her if I could keep the dresser. She said no, it wasn’t ours to use and before she could turn to go back downstairs, I ran to join her. Although I really wanted to explore that house, I was too afraid to do so after that. I did not feel comfortable there. And the feeling was to remain for the next seven years! When we finally moved in, the house didn’t seem so scary with the five of us kids running through the place. My mom and dad always seemed to have company so the house was usually overrun with people. Even so, I remember feeling like someone was watching me all the danged time. I usually blamed the feeling on my brother (three years younger than me and quite the pest). I was so sure he was hiding and spying. Who else would it be? Stuff began to disappear almost right away. It was a common occurrence to have my parents complain about something they couldn’t find (they weren’t the only ones but our stuff being lost was naturally blamed on our inattention and thoughtlessness). Of course my parents blamed us kids for their lost items (sometimes we would find them, in some strange obscure place, but oftentimes we did not). I still wonder where they went? Countless times my dad gathered us together to demand we tell him where the latest missing item was “or else!”. The fact we were all punished when the culprit didn’t speak up always had us kids mad at each other for not fessing up. Of course, most of the time my poor brother “J” (I’ll just give him an initial as I haven’t asked him if he’s okay with me using his name!) was thought to be the guilty one. There was a lot of “the blame game” going on, I can tell you that! The atmosphere was, at times, quite negative. Not all the time, of course. Looking back on it, I truly believe the negative atmosphere happened when the spirits were about. We did have spells of time where they seemed to be absent. Why they came and went, who knows? Since we put the missing stuff down to one of us (kids) being the culprit, we weren’t yet aware of the ghosts. The first year or so living there, anything out of the ordinary happening was explained away. “It’s cold in here because the walls are built solid and doesn’t allow the summer heat in (the slatted walls filled with horsehair plaster and no insulation told a different story! ), the noises we sometimes heard were the house “settling” or it was one of the cats … perhaps even a mouse. What else could it be? The feeling of being watched, of not being alone…well, that was hard to explain. Sometimes I would think it was J but when I knew where he was, I didn’t know what to make of it. The doors being found open (so common an occurrence that it often went without comment), well, it HAD to be one of us kids opening those doors…right? Actually, as I grew older, if my dad got up in the morning and found a door open (meaning the front door, the cellar door or the door to the attached barn), well he usually blamed it on me because I was often the last one to bed! It boggled my mind that my dad would actually believe I could leave those doors open and head on to bed. I didn’t feel safe as it was! In fact, I often doubled checked the doors because I had so many nightmares of us being killed in our sleep! Yeah, my imagination worked overtime while living there. My fear of that house began in earnest the night my mother went to play Bingo with a friend, leaving us kids at the house with my dad and her friend’s husband. Ranging from the ages of one to eight by this time, the five of us kids were having a grand ole time playing on the stairs that night. We were sliding down the narrow stairway on our butts, our bellies, our backs…however we could manage to do so. We were making quite a racket, I know that much. The main part of the stairway came to a small landing that then turned right (if coming down) with two more steps to the kitchen. We were confining our “slide” to the landing. Above this landing was a small window. I was too short to see out the window if standing under it. From the back of the house where the window was located, I would guess it was about seven feet up from the ground for it was higher than my dad and he is six feet tall. It was built flush with the house, no sill, no framing (I feel these facts are important, you’ll see why). My dad and his friend were sitting at the kitchen table talking … just a few feet from the stairwell entranceway (they must have been happy to have us all occupied in one place so they didn’t mind all the noise we were making). For once all five of us kids were having a good time together, no fighting, just fun. We had no worries. I had just completed my run down the stairs and turned to start back up them when I saw my sister about four steps down from the top. She sat frozen in place, her dark brown eyes wide with fright, her mouth open in a silent scream. She was about three at the time. My two youngest brothers were on the steps behind her, laughing and playing, they were ages one and two (yeah, my mom had us all pretty close together!). My brother J was a couple steps below my sister and on his way up. He saw her strange stance and turned to see what she was looking at. He immediately began screaming in terror and turned to make a mad scramble up the stairs, practically bowling my sister over in his haste. My two youngest brothers turned to look as soon as they heard J scream and whatever was in the area above my head, they saw it too and began to scream right along with J as they scrambled after him up the stairs. I did look above me but I saw nothing. Whatever was terrifying them had to be in the window. I remember the top of my head started crawling with unease, as if a thousand spiders and just landed there! I was scared to freakin death and didn’t even know why. All I knew was that my siblings were seeing something pretty danged awful. Once my brothers started screaming, my sister found her voice and she let out the loudest, high pitched screech. That alone would make your hair stand on end! With my dad standing near the stairwell, I felt a little braver and so I crouched low and ran up the stairs to get her. I picked her up, her little body stiff as a board and she grabbed me as if I were saving her life. I turned then to look at the window, afraid to see what they saw. Nothing was there. As I started down the stairs to my dad, my brothers scrambled down with me, all three of them crying with fright. My dad took my terrified sister and did his best to comfort her. It took a while to calm her down and, his patience wearing thin, he told the boys to stop their racket as well. Of course he looked to me, the oldest of the bunch, for an explanation. I had none. Once my sister’s cries calmed to hiccups, my dad asked her again why she was scared. “Red eyes, red eyes.” That’s all she would say and then she buried her head in his shoulder. Now my brother J (five at the time) spoke up. “There was a monster in the window!” My other two brothers began to cry again as they repeated the word “monster” and moved closer to dad and I for protection. My dad put my sister in my arms and motioned to his friend to follow him. They grabbed a flashlight and headed out the door. The five of us kids huddled together in the kitchen and waited. I envisioned my father being eaten by this monster my siblings saw and wondered if I’d be able to save us from the same fate. Yeah, young minds! After awhile, my dad returned from his investigation. He said there was nothing outside the window that he could see. His conclusion? My sister and brothers must have seen a reflection of themselves in the window. I knew, even at eight, that such an explanation made no sense. We’d been playing on those stairs for quite a while, why hadn’t our reflections bothered us from the beginning? And seriously, what’s so danged scary about our reflections? Geez! Totally subdued and frightened, the five of us kids went into the living room to huddle together on the couch. While my dad and his friend sat back down at the kitchen table to continue their discussion (as if nothing had happened! ), I asked my siblings about what they saw. We spoke quietly among ourselves, knowing my dad would get upset if he heard us talking about monsters. All four of them saw it. The two oldest were adamant that they saw a face with red eyes. 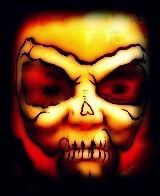 My brother J said the eyes were glowing and the face was scary. Even though my dad didn’t find the “monster” we all knew it was out there and from that moment on, I was terrified of that house. Now I knew something else was there with us. Now I knew why I always felt as if something were in the room with me even though I couldn’t see it. Now I knew what was opening the doors, taking things, making strange noises and moving stuff. We had a monster. It wasn’t much of a relief to later learn the monster was actually a ghost … and it wasn’t just one … no … there were, in fact, several and one of them was bad! Okay, I’m done for now! 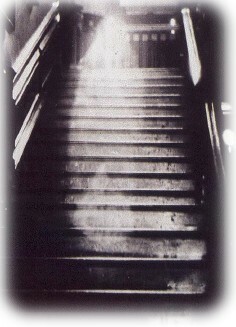 I’m trying to limit each post to to one or two ghostly incidents in order to keep the story relatively short! Hope you visit again for Part III … if you dare! (smile) Until then, blessings to all and Peace Out!